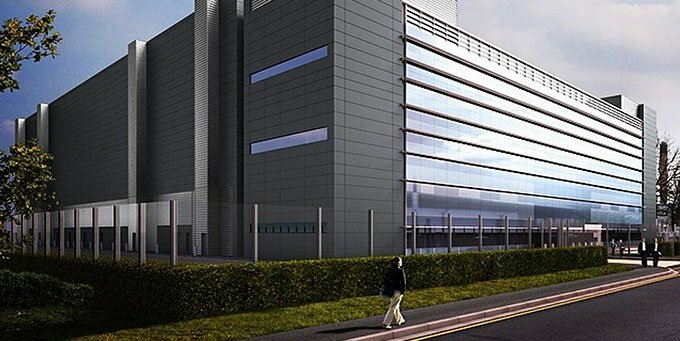 Global colocation giant Equinix is planning to spend £90 million (~$115m) on a new data center in London, located in the suburb of Slough. The facility will offer enough space for 1,750 cabinets in its first expansion phase, which is due to open in early 2019. The announcement was welcomed by the embattled Prime Minister of the UK, Theresa May, as a sign that the country is still a viable target for investment, even amid Brexit chaos: “Equinix’s investment reflects the growing demand for digital financial services in the City of London, and is a vote of confidence in its future as the world’s premier financial hub. This is exactly where we want to be heading,” she said in a statement. Equinix operates more than 200 data centers across 52 geographic markets – eight of them in London - and has long prided itself on serving a broad customer base, including financial sector organizations. Its latest infrastructure project will be located on campus in Slough, a town on the outskirts of London that hosts more data centers than any other region in the UK and is served by no fewer than 90 network providers. LD7 will initially offer space for 1,750 cabinets, going up to 2,650 cabinets at full build. The site will use a chilled water cooling system, in combination with adiabatic pre-cooling, and will be built to LEED Gold standard. The latest addition brings the total number of data centers operated by Equinix in the UK to 12. “London is one of the most important connection points in the world and this is expected to continue post-Brexit as the city continues to play a crucial role in powering the global digital economy,” Russell Poole, managing director for Equinix UK, said. Some readers will notice that the nomenclature used by Equinix for its facilities in London doesn’t make sense – LD1 is one of its oldest data centers, but LD2 is nowhere to be seen; LD7 has just been announced, and yet the company is already operating LD9 and LD10. This is a portfolio that has been shaped by years of mergers and acquisitions: for example, in 2016 the company had to sell LD2 near Heathrow to Digital Realty, as one of the pre-conditions set by the European Commission for its purchase of Telecity. Telecity’s Powergate data center then became LD9, while the facility in Slough that is now known as LD10 was acquired from US-based IO in 2017. Earlier this year, Equinix announced it would spend $39m to expand LD4 in Slough by another 3,300 square meters (35,520 sq ft). The company is also expanding LD9 and LD10.